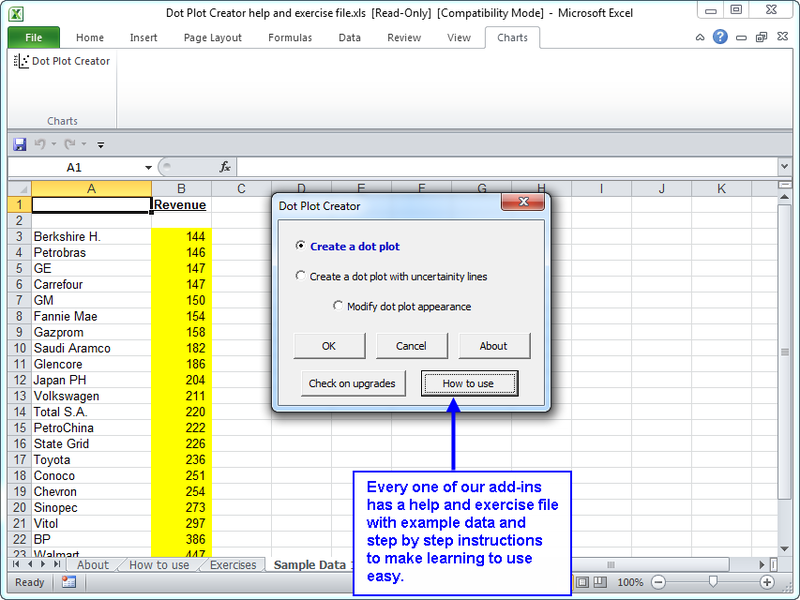 The Dot Plot Creator add-in for Microsoft Excel makes it easy to create dot plots. 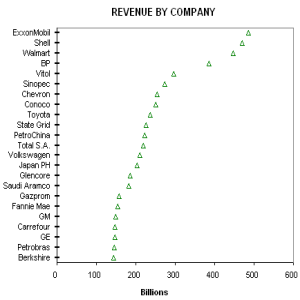 It is compatible with Microsoft Excel 2007 to 2019 and Office 365. The second chart illustrates plotting two columns of data, with uncertain bars on the 2012 forecast. Each division has a separate uncertainty range. And the forecast dots have been connected with a dotted line. 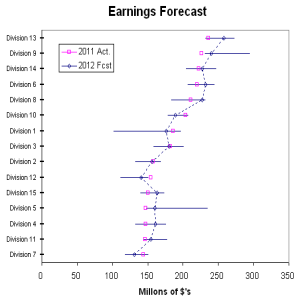 This makes it easy to see which division is forecasting an increase or decrease in earnings. The the uncertainty lines lets one know if the division is being aggressive on their forecast or conservative.